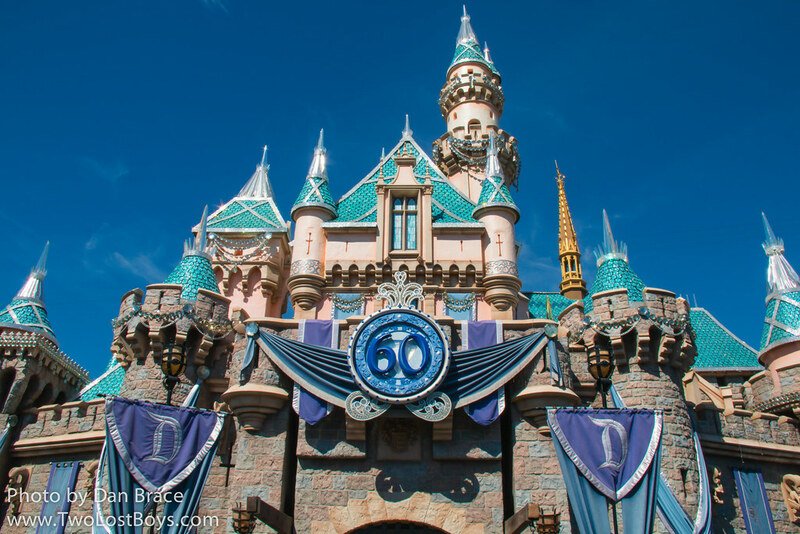 Earlier this week the Disney Parks Blog announced that the entertainment added for the 60th anniversary of Disneyland last year would all end on 5th September. The Disneyland Forever fireworks, the Paint the Night electrical parade, and the current version of World of Color would all have their final performances on that date. In addition, Fantasy in the Sky fireworks will return to Disneyland park Fridays through Sundays only. With Disneyland Forever leaving, it means that we will no longer see Nemo swimming high above Sleeping Beauty Castle, and potentially Tinker Bell. When we saw Fantasy in the Sky, when they ran it for a while in 2015, there were no flying characters in it at all. The loss of Paint the Night is the most detrimental to the park. With the scaled back fireworks performances, and Fantasmic! being down because of the Star Wars Land construction, it leaves Disneyland park with very little in the way of nighttime entertainment - especially Monday through Wednesday. 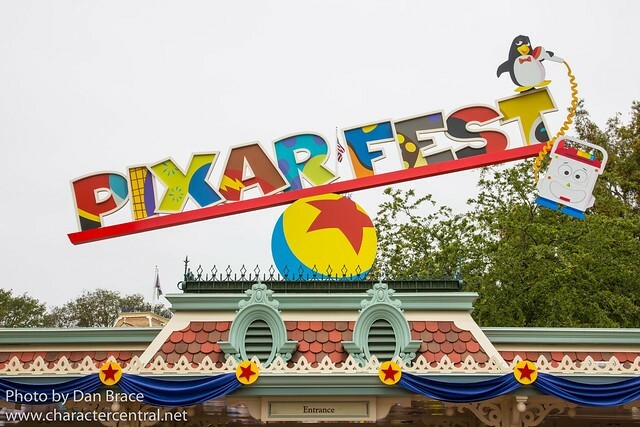 Over at the Walt Disney World Resort in Florida the Disney Parks Blog revealed that a brand new show starring the Muppets would be coming to Liberty Square in then Magic Kingdom, in "October" (DPB being as vague as ever). Sam Eagle, Kermit the Frog, Miss Piggy, Fozzie Bear, The Great Gonzo and James Jefferson will all appear in a new show outside the Hall of Presidents. The description makes it sound as though throughout the day there will be numerous different performances, retelling popular stories from American history. It is interesting that WDW have chosen to introduce the Muppets to Liberty Square since they decided to re-theme and rededicate the area around Muppet*Vision 3D (at DHS) as Muppets Courtyard recently. It would seem the Muppets (who were cancelled from ABC recently also) are making a belated comeback to WDW! The Magic Kingdom is set to welcome Princess Elena of Avalor from 11th August, starting with a special welcome ceremony that will be live streamed on the DPB. Then, from 12th August, multiple times per day, Cinderella and Prince Charming will join Princess Elena at the Castle Stage for a musical performance. The show is a "limited time" happening (again with the DPB being vague), so catch Elena while you can! From 7th until 31st August, guests who purchase the WDW Memory Maker will be entitled to a special private greeting with a Disney Princess inside Heritage House (Liberty Square), at the Magic Kingdom. Terms and limitations apply. Check the DPB for all the details. 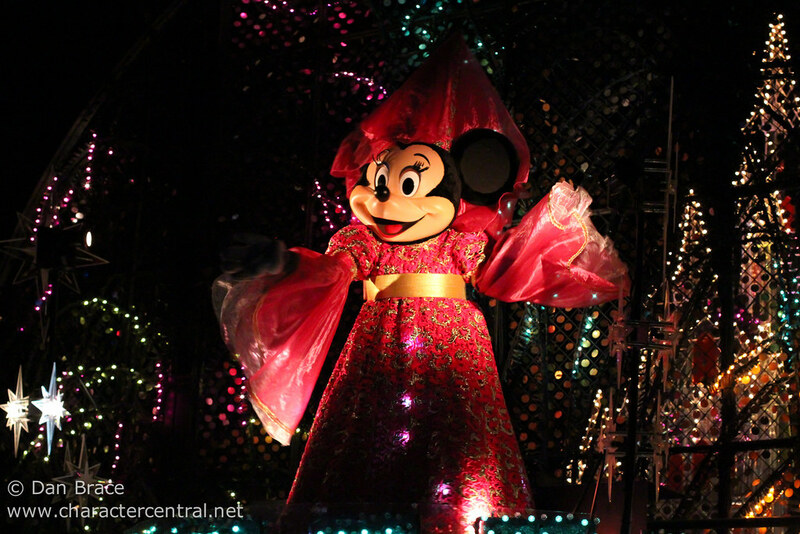 Finally, I have been continuing to add more and more new content to the site, and you will now find brand new pages loaded with photos for the following character-filled experiences at WDW: Mickey's Royal Friendship Faire, Minnie's Summertime Dine, and the Royal Sommerhus. Last week Jon and I spent five days at the Happiest Place on Earth, Disneyland in California. This was our third trip to the Disneyland Resort this year, and our final one this year until next year. We went to (finally) see the 60th anniversary celebrations and celebrate Halloween Time. It had been four years since we had been at Disneyland Resort for Halloween Time, and so we were excited to go back. Unfortunately, we already knew that Disneyland had made many cutbacks to their Halloween season this year, but despite that, we were still looking forward to seeing the things that were spared. First of all, I'm sorry for the lateness with which this news article comes. Some of this news has been around for a few days, but Jon and I have been so very busy that I just haven't had time to post. However, if you join our forums our helpful members there nearly always post the latest things they find, so be sure to join our friendly community and never miss any updates! With that said, I've put together a roundup of the latest character news from this week, including brand new news today about Disneyland Paris' Halloween season this year, and a new Frozen event for Tokyo. Let's start with an event that is just 2 days away, Villains Unleashed at Disney's Hollywood Studios! Various sites across the internet, including this one, have been posting information regarding all the characters and locations for this hard ticket event. I have used various sources and compiled together the following guide based on everything we know so far. Of course, Disney can change anything at any time, so just bear that in mind. It should also be pointed out that there are no less than THREE brand new characters on this list that have never met guests before! Constantine from the Muppets Most Wanted (as announced here by the Disney Parks Blog), and the Star Lord and Gamora from Guardians of the Galaxy (as announced here by the Disney Parks Blog)! “Guardians of the Galaxy” Awesome Mix Tape Dance Party at the Animation Courtyard - Dance party featuring Gamora and the Star Lord. They will not greet guests, but the Disney Parks Blog did say they would "interact". Hades Hangout - The party kicks off at 8pm at the Sorcerer's hat stage, where hosts Hades, Megara, Pain and Panic. They’ll be joined throughout the night by other villains such as the Queen of Hearts, the Sheriff of Nottingham, the Big Bad Wolf and Captain Hook. None of them will be greeting guests, as per the norm with Disney dance parties. Oogie Boogie’s Freaky Funhouse Show - On Sunset Boulevard, Theater of the Stars presents a production of extreme performances, hosted by Oogie Boogie. It’s an all-new show that’s sure to thrill! Fantasmic! - On Sunset Boulevard, a gang of villainous henchmen, known as the Night Crawlers, tempt you to join them for a special pre-show to the evening’s performance of Fantasmic! “Villainy in the Sky” Fireworks - Hades summons Maleficent to the main event stage (Sorcerer's Hat) to close things out with a devilishly dazzling display of pyrotechnics! What's interesting also about this list is that The Witch and The Queen will both be greeting, in separate locations. I think there may be some sorcery involved in this one! (Remember, they are both the alter egos of the evil Queen Grimhilde!) It's also worth pointing out that Emperor Palpatine and the Royal Guards will be greeting, which is very rare. On top of that, of course as we already knew from a couple of weeks ago, Captain Gantu and Dr Hamsterviel will be landing for some alien terror! On to some Frozen news now, and Hong Kong Disneyland announced at a special media event, and later via their Facebook page, that Anna and Elsa from the wildly popular movie Frozen would feature as characters at the park during their "Disney's Sparkling Christmas" celebrations, from mid-November this year. 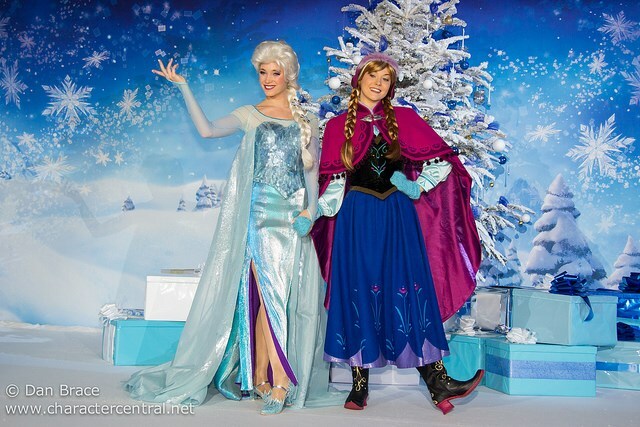 Just a few hours ago the Tokyo Disney Resort Blog also announced some news regarding Frozen at the resort. From January 13th until March 20th a new Frozen section will be added to their poplar nighttime show, Once Upon a Time, and, from what I can make out (the Japanese being difficult to translate, as always), they will also feature in some capacity either in the parade, or at least along the parade route during the day. Staying with the Asian parks, Hong Kong held special preview event of their brand new nighttime parade, Paint the Night, which debuts in October this year. We have some videos posted on our forum here which you should check out, it looks really awesome! We come to Paris now, where just today they sent out their press release regarding the upcoming Halloween season. The complete English version is below. 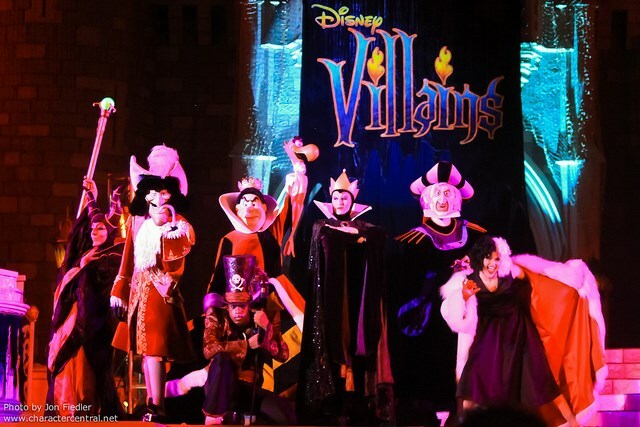 From 1 October to 2 November 2014, Disneyland Paris is the place to be to meet the Halloween gang of Disney Villains. Every day, Maleficent will bring together the Disney Villains in a cheerfully ominous atmosphere, promising Disneyland Paris guests encounters to die (laughing) for. The Sleeping Beauty Castle Courtyard will be transformed to welcome the good Disney Villains who will take mischievous pleasure in taking over Disney's Halloween Festival. And that's not all! During this delightfully frightening month, ghosts and "Disney’s Funky Pumpkins*" will take possession of Main Street, U.S.A., astonishing pumpkins will take over the flowerbeds in Central Plaza and Frontierland will be transformed into an autumn garden, where sunflowers and pumpkins will take centre stage. Finally, Mickey and friends will offer guests a special Harvest festival-themed cavalcade, not far from Minnie's Halloween Costume Corner or the incredible candy-making machine invented by greedy Goofy, all designed to ensure Disney's Halloween Festival is a laugh a minute! Every day, the Disney Villains will be happy to have their photos taken with guests to immortalize this fearsomely funny occasion forevermore. Together with Maleficent, the Disney Villains will parade around Central Plaza to welcome guests. This year, Maleficent will cast a spell on the Sleeping Beauty Castle and the Disneyland Park and will invite some of the Disney Villains to join her in the Castle Courtyard. Maleficent, surrounded by her friends, the Disney Villains, will take over the place - it has now been invaded by imposing brambles, which guests will be able to pose in front of, next to the Disney Villains. That is how huge brambles mysteriously appear in the Castle Courtyard. Shaped like the famous horns of Maleficent herself, these brambles form the outline of an imposing dragon. As night falls, the bramble will take on a more disquieting look, immersing guests in a universe of bright, unsettling colours. To celebrate Halloween and to provide guests with a unique party, Mickey and friends will offer guests a cavalcade specially dedicated to the Harvest festival, and have naturally been inspired by the autumn and Harvest theme. Several times a day, Mickey and friends will parade in front of Sleeping Beauty Castle and along Main Street, U.S.A., surrounded by dancers wearing autumn colours. This year, the lovely Daisy will open the cavalcade. The Three Little Pigs and Horace will join Mickey's Halloween Celebration on their brand new float "Raise the Rafters!". Surrounded by owls, black cats, spiders and bats, the Three Little Pigs, Horace and Clarabelle will dance to country music in front of their farm. A tree and an enchanted mushroom will come to life as if by magic. Mickey and Minnie pay homage to the Harvest season from their huge horn of plenty, filled with autumn leaves, fruits and pumpkins. Behind them, Chip and Dale, accompanied by the charming Clarice, have taken advantage of the Harvest to steal and hoard as many hazelnuts as they can lay their hands on! They thought they could keep a low profile throughout Halloween month, but guests will only be able to unmask them and immortalise them in a photo! The ghosts of the former residents of Main Street, U.S.A. will use Halloween as the perfect opportunity to make their grand appearance. Delighted to be able to make an appearance during Disney's Halloween Festival, they will take over Main Street, U.S.A., trying to blend into the scenery. The Park's apprentice ghost hunters will be invited to unmask them, armed with their cameras. The Disney characters get dressed up to the nines to welcome guests in a vibrant and colourful Halloween atmosphere for those special photo opportunities with guests. Halloween Costume Corner - Passionate about sewing and fashion, Minnie will invite guests to discover her amazing sewing workshop, specially created for Halloween. An extravagant, colourful world where everyone is encouraged to let their imagination run wild. Minnie, in her fabulous Halloween-inspired dress will no doubt jump at the opportunity to pose with her admirers. Goofy Bonbons - Halloween would not be the same without bonbons and spells. For that reason, Goofy has designed and created a truly amazing candy-making machine to dazzle those with a sweet tooth, young and old! Fans of bonbons and Goofy will not miss the opportunity to stop in front of this astonishing machine. Goofy might even join them to make sure everything is in good working order. A moment to treasure and a chance for everyone to persuade him to share his confectionery secrets! Jack and Sally's Cemetery (from Tim Burton's The Nightmare Before Christmas© Disney) - The famous couple created by Tim Burton will be at Disneyland Paris during Halloween for a mortally enchanting encounter. The set recreates the universe of the film The Nightmare Before Christmas, and Jack and Sally in person will welcome those who will be courageous enough to meet them. A reproduction inspired by the universe of Tim Burton, Jack and Sally's Cemetery is a unique place. The perfect opportunity to capture your best moments with the Disney Villains. Disney PhotoPass+ allows guests to collect all their souvenir photos taken on rides or with Disney Characters by Park photographers at photo locations in high definition in a virtual portfolio. The photos are also available on a dedicated website (www.disneyphotopass.eu) and on a mobile app that enables guests to download them, share them on social networks and even purchase personalised photo products (photo albums, mugs, calendars etc.). Disney's Halloween Festival will therefore be the ideal time to capture the best poses next to the Disney Villains. Disney's Halloween Party: the grand finale on 31 October! Guaranteed screams, even for the bravest guests. The most magical Halloween night will take place at Disneyland Paris! The now famous Disney's Halloween Party (ticketed event) will be held on 31 October 2014 in Disneyland Park. A unique experience to share with family or friends from 8.30 pm to 1 am. Disneyland Park will reopen its doors after dark and guests will see it as they have never seen it before - in a more mysterious atmosphere than ever, with unexpected animations, terrifyingly delicious surprises and a "hellish" atmosphere. The moon will bring out the ghosts, Disney Villains and other creatures for the party, who are all ready to play their tricks around the most mysterious of places. After enjoying the many attractions Disneyland Park has to offer, guests will be able to immerse themselves in the magical extravaganza of the Disney Dreams®! night-time show. Halloween will be the perfect occasion to test guests' vocal chords on rides that will make them tremble with fear! With The Twilight Zone Tower of Terror, Rock ’n’ Roller Coaster with Aerosmith, Indiana Jones and the Temple of Peril, Crush’s Coaster® and Space Mountain: Mission 2, Disneyland Paris will be the place to be to test the limits of the most overwhelming fears. The Disney Villains have chosen the right occasion for their largest gathering — Disney's Halloween Festival 2014 has become autumn's unmissable event. In an atmosphere where laughter mingles with spells cast by Maleficent, guests will find themselves immersed in a strange, delightful world that only Disneyland Paris knows how to create. To celebrate Halloween and the Harvest season with Mickey and friends, come to Disneyland Paris from 1 October to 2 November 2014. Finally, although nothing official has been announced (as far as I'm aware, and I get all the press releases such as the one above for Halloween), Merida will finally be coming to Disneyland Paris for Christmas, and Anna and Elsa will be greeting guests there, too, instead of just being in the parade. Many sites and pages on the internet have been circulating this news this week, and I have reason to believe it holds a good amount of truth. What's interesting is that Anna and Elsa are said to be going into the Princess Pavilion - I wonder where the other princesses will go? Of course, Disneyland Paris only today released the full Halloween information (above), so until they release the full Christmas press release, anything can change! When they do finally release it, I'll be sure to post it here on the blog. Ok that's everything for today. We were at DLP on two separate occasions over the past few weeks, I have already compiled one photo trip report which includes over 50 photos of the brand new Ratatouille area there, so be sure to check that out! Another report for our second trip will be coming soon! Also, don't forget to read part one of my Grand Circle Tour of all the world's Magic Kingdoms, here. Part 2 is coming soon, too! Hot on the heels of the Marvel/Spider-Man news the last few days from Disneyland Paris, which I talked about yesterday, today the Disney Parks Blog announced that the Disneyland Resort would be hosting an Avengers half marathon from 14th - 16th November this year! The promotional video clearly states that Avengers characters and entertainment would be at the event, with the picture showing a cartoon of Iron Man, Thor and Captain America, who have all previously featured as characters, but also now the Hulk! If the image is accurate then as far as we know right now, this will be the first time the Hulk will be featured as a character at the Disney Parks! There is of course the chance he may appear before then anyway, or he may not show up at all, but I am guessing they are going to be fairly accurate with their concept portrayal and who actually shows up. Very exciting news indeed! EDIT: I just checked the official runDisney site, and it states "Join the Avengers team of Captain America, Thor, Hulk, Black Widow, Hawkeye, and Tony Stark for the Inaugural Avengers Super Heroes Half Marathon Weekend." Could this mean that Black Widow and Hawkeye will come to Disneyland, too? It would be amazing if true! Also, the blog site Disney and More posted yesterday that the new Hong Kong Disneyland nighttime parade, Paint the Night, that I had previously mentioned could be on its way to Disneyland for their 60th anniversary next year also! This would mean that, sadly, it would only be a Hong Kong exclusive for a few months before Disneyland get their own version. 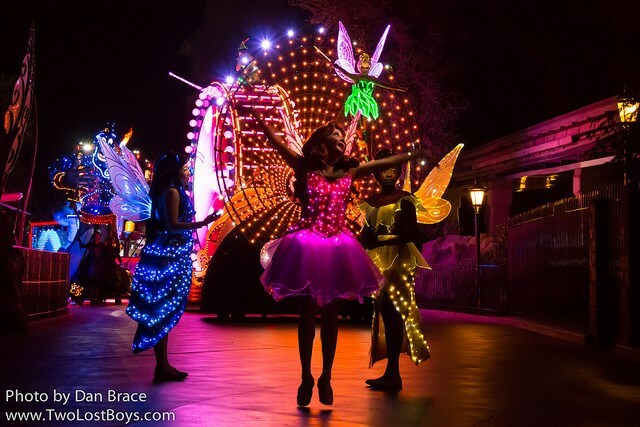 Although it is awesome that Disneyland could get a new night parade again, it is sad that they have to degrade the uniqueness of Hong Kong's efforts by copying it. Nonetheless, I'm sure it will be a welcomed addition to both resorts. There has been a ton of news the last few days, so why not check out my previous blog posts for all the latest information. Links below. Read here the news about Spider-Man at Disneyland Paris, Festival of Fantasy at WDW and Oswald the Lucky Rabbit. Read here the news about Star Wars Weekends at WDW, Oswald the Lucky Rabbit, Spring season at Disneyland Paris and parade changes at Hong Kong Disneyland.